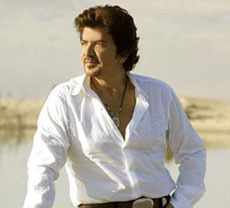 This page contains a translation into English of the lyrics to the popular Arabic song "Inzal Ya Gameel", which was sung by Lebanese singer Walid Toufic. It is sometimes spelled as "Enzal Ya Gamil" or "Anzil Ya Jameel". The singer's name is sometimes spelled as "Tawfiq", "Tawfik", or "Toufiq". When Walid Toufic was young, growing up in Tripoli, Lebanon, he used to sing and play the oud for gatherings of his family and friends. His singing career began when he appeared on television, on a program called "'Studio Al-Fan". He was an instant hit in the media, and became known as "The amateur that in no time sparkled like a star." Unfortunately, the rise of the civil war in Lebanon led him to continue his career elsewhere. He lived in Damascus, Syria for 10 years, pursuing a career in both singing and acting. After a time, he moved on to Egypt to continue his show business career. He appeared as an actor-singer in the movie Man Yatfi Al-Nar (Who's Putting the Fire Out?) which featured this song, "Inzal Ya Gameel". This translation was included in the liner notes for one of the CD's that includes this song.